Creamfields has unveiled SILO – an “innovative and cutting-edge” 360 degree, stadium-like structure and the first of three new arenas set for this year’s event. Working closely with Acorn, the new structure has taken 12 months of planning with the intention of creating a “fully immersive structure that is dark, intimate and completely different to any other festival stage”. The resulting structure is a cylindrical chamber, with a bespoke sound and light experience designed to envelope the audience, offering an immersive 360 experience that will “prove to be an all-round assault on the senses”. 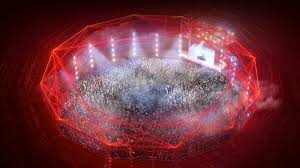 The SILO structure will include a 40-metre wide circular dancefloor with towering walls, a vast cylindrical space and tiered viewing platforms, giving festivalgoers a unique aerial view. Despite a 360 wall of sound and custom video, 140 hybrid strobes and 80 moving lights, the show design will be “simple: dark, underground and immersive offering a truly unique audio, visual experience”. Analysing Company vehicle fuel usage. Liaising with the operations team on a daily basis and assisting with accommodation bookings when required.